This will be the 11th edition of "Gotta do THIS" and then we start over again with April (the first edition I started with in 2016.) If you've enjoyed this series, please leave a comment below or feel free to send me an email. I'd love to hear how this monthly series has inspired you, what you've taken away from it, and even what you've enjoyed most about each edition. I have not completely decided on whether I will continue this series for a second year so I do sincerely value your feedback. I also welcome suggestions if there are topics you'd like to see me cover in future editions. 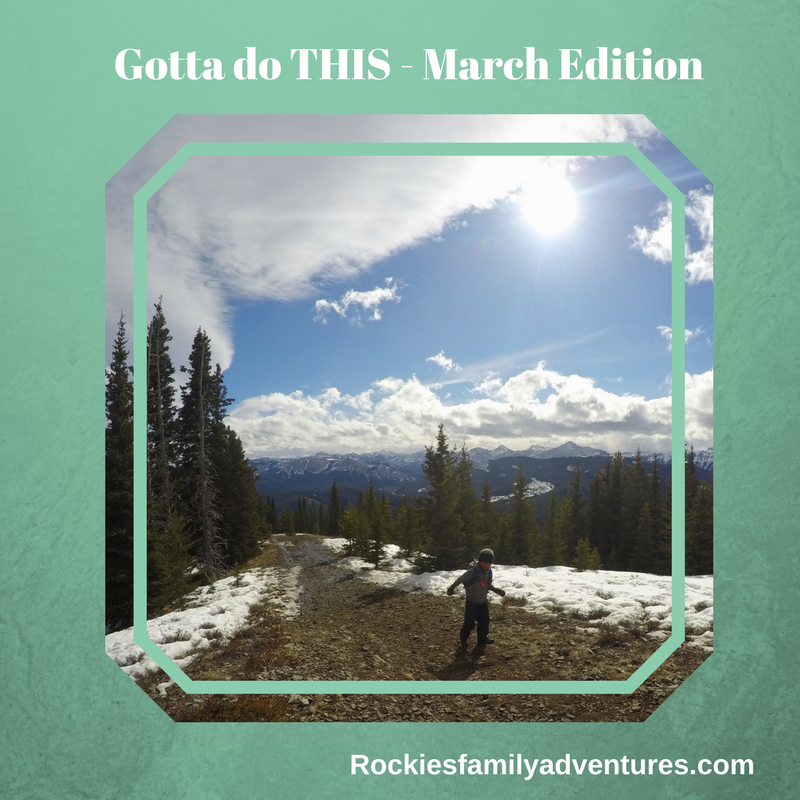 Without further preamble, here is the next edition of "Gotta do THIS in the Canadian Rockies this month." As always, I tend to focus on day trips accessible from Calgary with road trip suggestions for weekends or holidays. It's no secret that we love ice here. Frozen waterfalls, icy canyon walks, and ice-skating all make the list of things we love to enjoy in March before our beautiful ice melts for another summer. Below is some recommended reading if you want to head out on a final ice hike this month. Troll Falls is another short hike to a beautiful frozen waterfall and young kids will enjoy the Troll Stroll en route to the falls where kids can hunt for hidden Troll dolls. Ice Safety note: Ice cleats or spikes are highly recommended for all ice hikes. I also recommend helmets if your child is going to be "crazy" on the ice - like mine! And to find XS microspikes for kids, see below under number 3 - climb a mountain. A store in Canmore is currently selling a bunch. Last March we took our son, then 7 years old, up to Chester Lake in the Spray Lakes Valley for an easy introduction to backcountry ski touring. It was a lot of fun for all of us and we each used a different ski setup to make the trip work. We also had a tow rope for the flat sections on the way down because it's pretty hard to ski across meadows in downhill skis. The trip was perfect as an introduction to backcountry skiing because there is no avalanche danger between the parking lot and the lake, and the trail was well packed down for easy following. You can read about our adventure here: Introduction to Family Backcountry Ski Touring. AND, if you're looking to extend your trip into a two-day wilderness outing, try yurt camping for a night at nearby Mount Engadine Lodge. While there you'll enjoy all-inclusive meals and have access to the decadent main lodge building. You can read about our adventure here: Yurt-Camping in Kananaskis at Mount Engadine Lodge. It's here, the month we finally return to summits and hiking up mountains! I've done two March ascents of Ha Ling Peak in Canmore and we also hike up Prairie Mountain in the Elbow Valley like an annual pilgrimage each March to usher in spring. You can read about one of our family ascents of Prairie Mountain here: More First Summits - Prairie Mountain, Kananaskis. And, you can read about our first family ascent of Ha Ling Peak here: Ha Ling! My Baby Climbed his First Real Summit. And Insider Tip on Finding XS Kahtoola Micro Spikes for Kids: The XS size has been discontinued but by no small miracle, Switching Gear in Canmore has managed to find a bunch. They've already sold the first 20 sets but have ordered another batch. If you want a pair I'd call and place your order before they sell out too. We'll be making the trek out to Fernie Alpine Resort this month (which has been receiving dumps of fresh powder nearly daily) and you can read about skiing as a family at this resort here: Family Guide to Fernie Alpine Resort. To read about the trip we "just took" to Fernie, read the story here: 5 Reasons for Families to Love Fernie Alpine Resort. 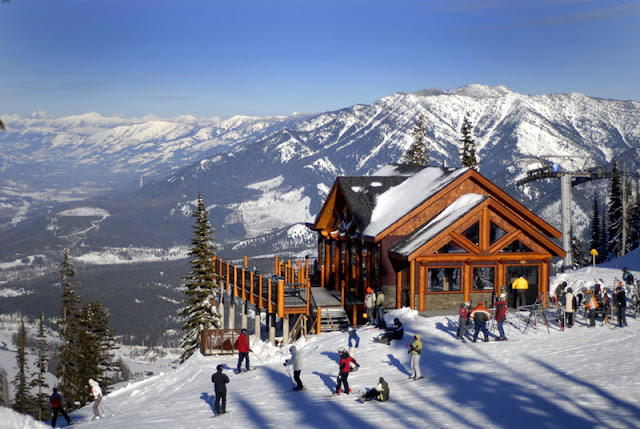 Another resort we LOVE as a family is Kimberley Alpine Resort. 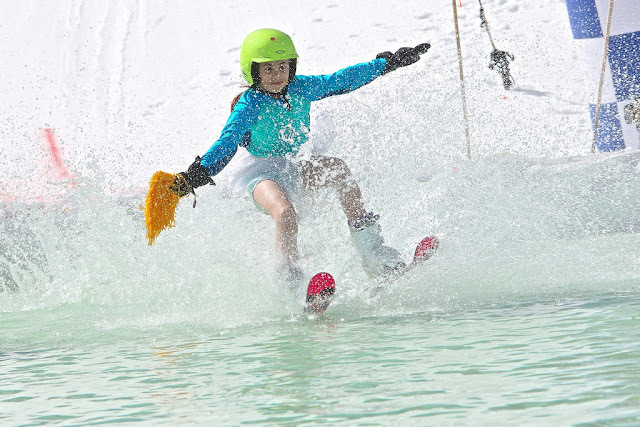 Read about our adventures in Kimberley here: Family Guide to Kimberley Alpine Resort or The Ultimate Family Ski Weekend at Kimberley Alpine Resort. You can also check out my newest story for the Kimberley Alpine Resort blog: How to have more GREAT Ski weekends at Kimberley Alpine Resort. While we'd all like to stay at a luxurious ski in/out condo at Fernie or Kimberley, sometimes it's just not in the cards (or the budget) and a family has to get more creative. Hosteling can be a great alternative to staying in an expensive condo on a ski hill and there are some hostels located very close to our favourite ski resorts. 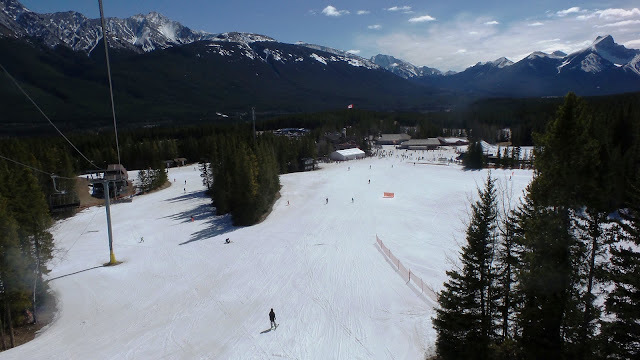 To read about staying at the HI Kananaskis Hostel, located just minutes from Nakiska Ski Area, read: Affordable Family Ski Vacations in the Canadian Rockies. By hosteling, you can also cook your own meals which will save you money over staying in a hotel. 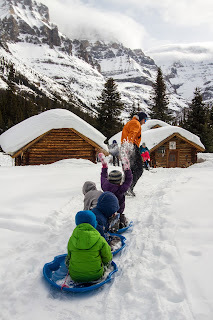 You can also read about our recent stay at the HI Lake Louise Alpine Centre, just a short drive away from the Lake Louise Ski Resort and with ski in/out access for gorgeous cross country trails. That story is here: Family Guide to the Lake Louise Ski Resort. Money Saving Tip: If planning to stay at a hostel, always ask if there are ski packages available. Many hostels have packages that include lift tickets with your stay. And my newest obsession, fat biking, is something that you can do right now if you plan a trip over spring break! Seriously, do it!! For more inspiration, check out these stories below and then grab your calendar to mark down a trip west to the Columbia Valley this spring. If you're still looking for a snowy adventure for Spring Break, consider booking a trip to Emerald Lake in Yoho National Park to ski or snowshoe in one of the most beautiful spots in the entire Canadian Rockies. And here's a big tip: You can make reservations for backcountry huts and wilderness hostels a year in advance! This means that you can already reserve for Family Day 2018. Spring Break dates for 2018 will be coming up soon as will the reservation date for Easter 2018. Nice post Tanya! I always get great tips from your articles - so I hope you keep posting whether it's the "gotta do this" or whatever you feel like writing about! I always look forward to this monthly post. Being that we are new to Calgary and Alberta this is a great way for us to learn about new places to check out and things to do with the kids. We have tried to do a couple things each month that we see listed in your posts and our kids have been loving it. We went to Jasper and Lake Louise in January for weekend getaways to see festivals you had posted about. We have checked out some of the hikes you mentioned and also some great skiing. Others we have added to our bucket list for another time or when the kids are a bit older. Thanks Katy. I'm so happy to hear how much these posts have inspired you. 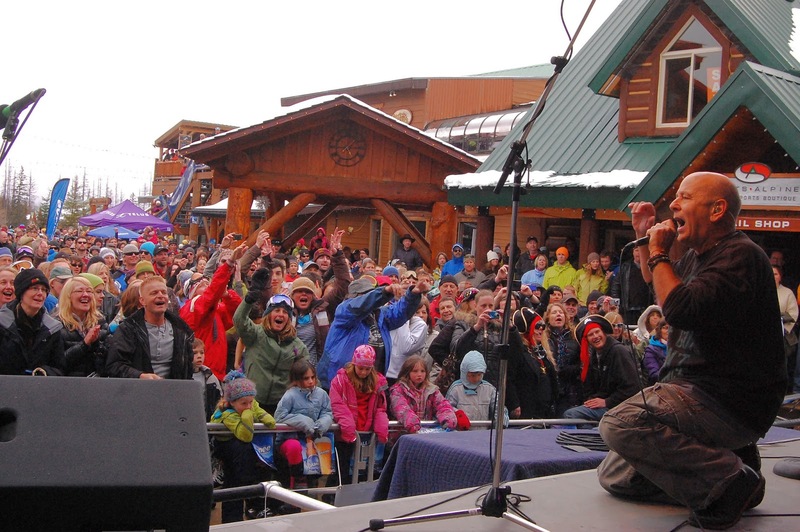 I hope you had a great time in both Jasper and Lake Louise! Thanks for these great posts! So helpful to getting the family outdoors! !